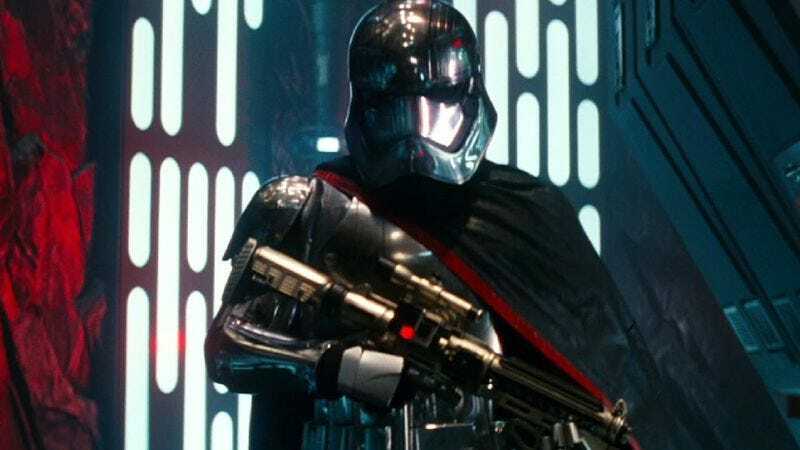 Thankfully, though, we haven’t seen the last of Captain Phasma. According to Variety, Christie has confirmed that she will be returning for Episode VIII, which means she might get an opportunity to actually do something other than look cool this time. As the legend goes, Christie was only cast a few weeks before shooting began on The Force Awakens (and the part was originally written for a man), so the fact that she didn’t do anything was probably more about the wheels of the project already being in motion than anything else. Hopefully that means the production will have the time and sense to make her more than really awesome set decoration for the next movie.